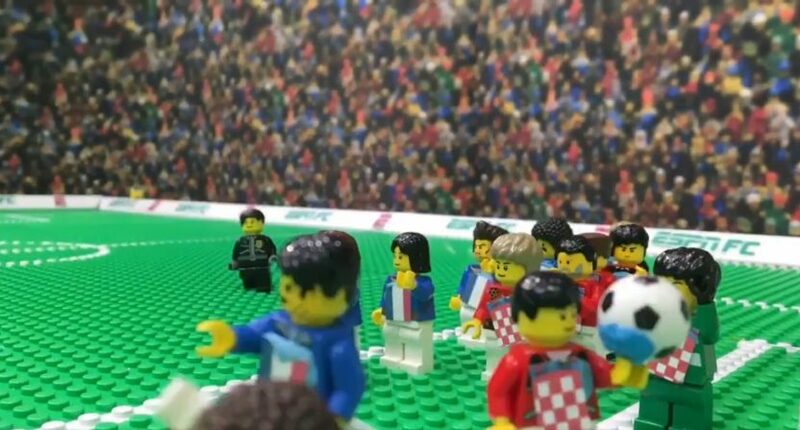 Without full highlight rights to this tournament, ESPN had to get creative, and their Lego highlights Sunday were particularly good. That’s some impressive creativity, from the “video screen” the ref was looking at to the repeated back-and-forth replay. And many of the other goals were shown off well here, too, with attention paid to the ball’s flight paths. The celebration at the end is also nice. It’s far from official, but it’s cool to see what ESPN was able to come up with here given the restrictions they were working with. Andrew Bucholtz is a staff writer for Awful Announcing. DAZN is getting some original content. The NFL's primetime schedule for 2019-20 is out, and it includes a whole lot of Cleveland early. "Name me how many times LeBron played on NBA TV. He's never been on NBA TV." "Players Only?" "That's not the same." "Not during the playoffs." Joe West ejected Anderson after Anderson was beaned, and Benetti wasn't happy about that. Who will be the play by play announcer for the top championship events in a decade? AwfulAnnouncing.com is a Sports fan web site and is in no way affiliated with any media organization, any professional sports league, team, organization, or its Properties. This site is for informational and entertainment purposes only. AwfulAnnouncing.com is not an official web site for any media organization, professional sports league, team, or organization. Copyright © 2017 www.AwfulAnnouncing.com - All Rights Reserved - Trademarks used herein are property of their respective owners. AwfulAnnouncing.com is part of the NESN digital network.